The hunky actor - who plays Edward's adopted brother Emmett in the vampire franchise - revealed he was originally asked to try out for the part which eventually went to Robert Pattinson but he turned it down because he wanted a part that made him "smile." 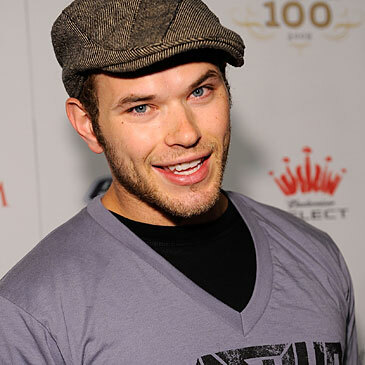 Kellan explained to JustJared: "I didn't want to do it. I spent so much time filming in Africa before that, seven months, and that's a long time to be away from your family and dogs. My agent wanted me to read for Edward and I read the script and thought that character was too depressing for me right now, I want to do something where I smile. I wanted to take a break from acting and I said that, I turned it down, I turned down the audition a couple of times." However, Kellan's agent insisted the film would be career changing and convinced him to audition for the role of big brother Emmett, who Kellan loved for his "comedic" characteristics. Kellan said: "Ryan, my agent at the time really knew it was going to be a special project so he told me to read the role of Emmett, and I read it, it was only about four lines, but he was the big brother, the comedic relief and I fell in love with him. I said 'Sure, I would love to play this type of role'. I auditioned, and long story short, here I am finishing the saga and Emmett is going to be in my heart forever."